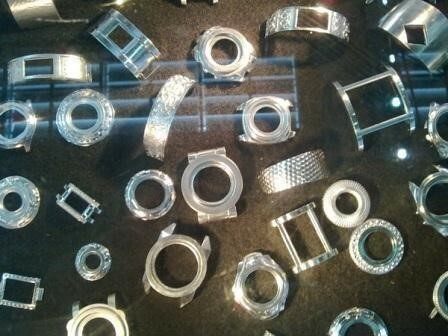 Famous for strict and accurate watchmaking craftsmanship, no matter in movement selection or exterior component manufacture, Reef Tiger requires each production link has to meet the criterion of world top-notched level in watchmaking industry, only by doing this, Reef Tiger watches can be ensured a perfect and excellent performance to all the watches it made. 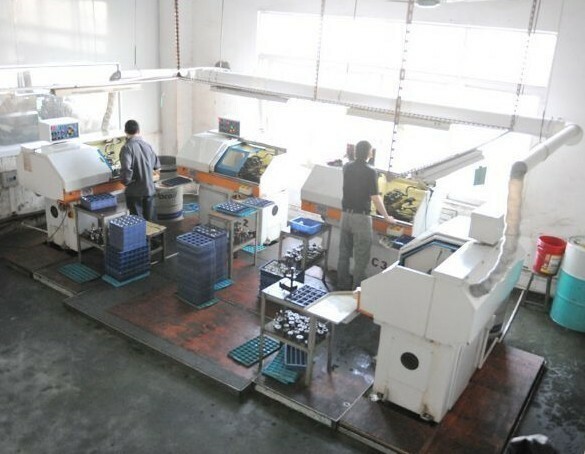 Today, I will lead you into a magic journey of how the watch case is manufactured by Reef Tiger. 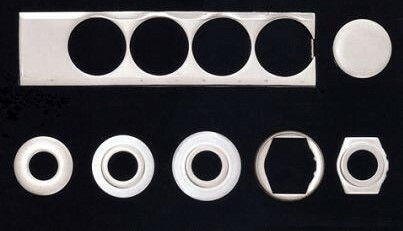 We all know that watch case function an important role to the whole watch, from the practicality point of view, it’s characterized by functions of protecting movement and perfectly snugly fit to the wrist, meanwhile, it’s also being the king soul of a watch design, different shaped and designed cases determine brand temperament of disparate kind of watches. 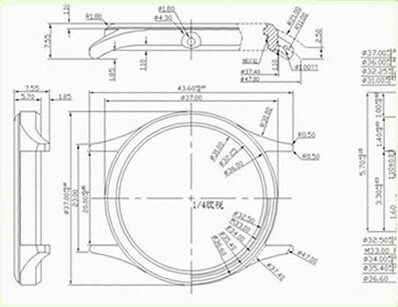 The working process of watch case must stringently comply with the engineering drawing, our professional watch technicians will ensure the design of each watch case as close as possible to abide by the original drawing, location of grooves, depth of diameter and finishing of the angles all are forced to go by with the size of the design drawing, any range of deviation is prohibited. Watch case of Reef Tiger adopt highly lustrous strong rust-resistant 316L stainless steel, firstly cut out the case blank from solid 316L stainless steel block then further engaged in stamping, shearing and nibbling. 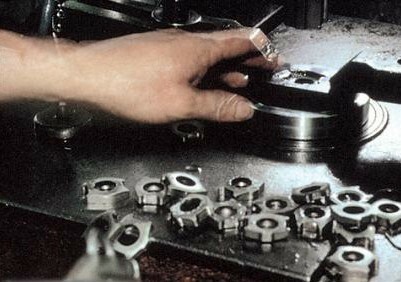 First progress the blank will go through is high pressure, temperature heating treatment and then immediately cooling, the same procedure must be continuously repeatedly acted onto the tiny case blank until pressure raised up to 100t aiming to ensure its sufficient endurance. 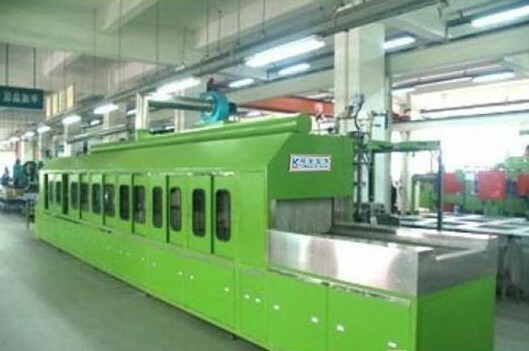 The process from the cutting to stamping can’t be taken rushed, only progressive pressing are allowed as abrupt increase in pressure may lead into material damage. 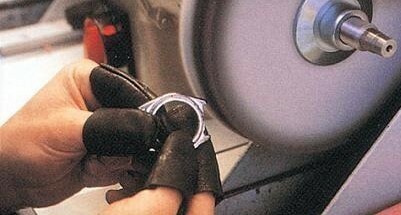 The cases that are qualified with the repeatedly stamping only can be sent to further processing and embellishment. 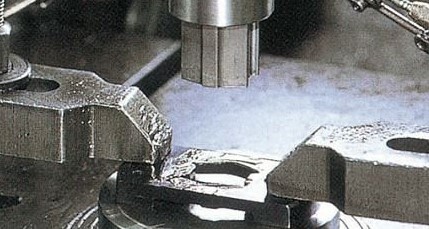 Processing of the case can be classified into two categories turning and drilling, case blank eligible to stamping firstly will be undertaken is turning via Germany imported machine tool that is capable to be accurate to 0.05mm so can get the complete and integrated presentation of the designer’s composition. 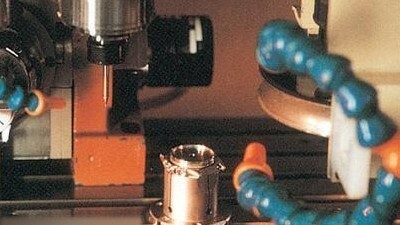 Then followed by drilling, this process has to be finished by skillful and experienced staffs to bring out the most smooth and precision drill holes. Cases after manufacturing procedure still need manual cleaning, polishing and brushing. Case can embody the marvelous and distinctive luster of 316L stainless steel only after dealt with polishing and brushing. Each watchmaker of Reef Tiger has watchmaking experience of at least 10 years, by means of their expertise and skillfulness, the incomparable quality and glory of Reef Tiger thus can be accomplished. Quality Control, last but not least, after a series of testing like water resistance, exterior quality detections, basically Reef Tiger watch case is almost done.